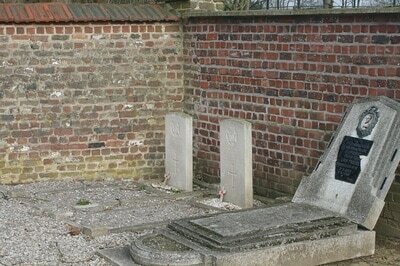 St. Agatha-Berchem is a commune on the western outskirts of Brussels, 5 kilometres from the centre of the city. It lies west of the Brussels-Ghent main road. The cemetery is about 450 metres west of this main road. 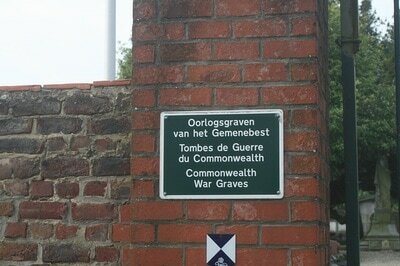 The cemetery entrance is from Groendreefstraat close to its junction with Kasterlindenstraat. On entering the cemetery turn immediately right and the two Commonwealth war graves are in the north-western corner, against the north wall. telephone number +32 (0)2 227 63 34. 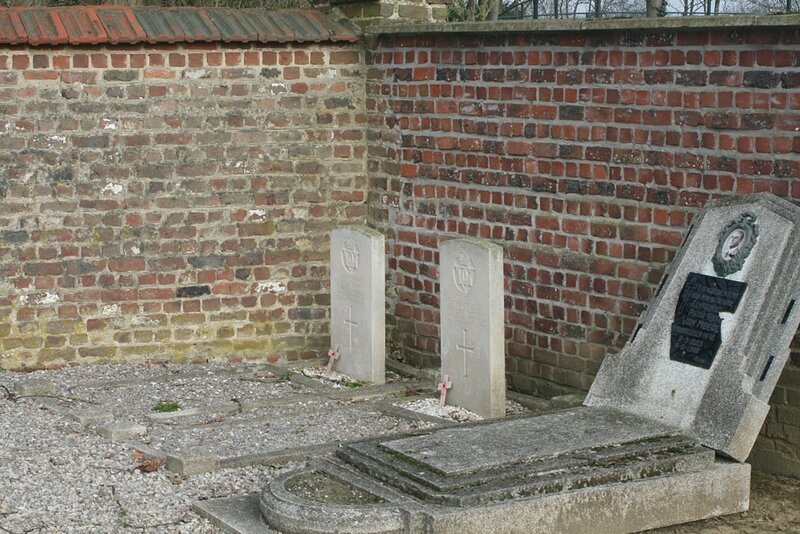 St. Agatha-Berchem Communal Cemetery contains two Commonwealth burials of the Second World War. 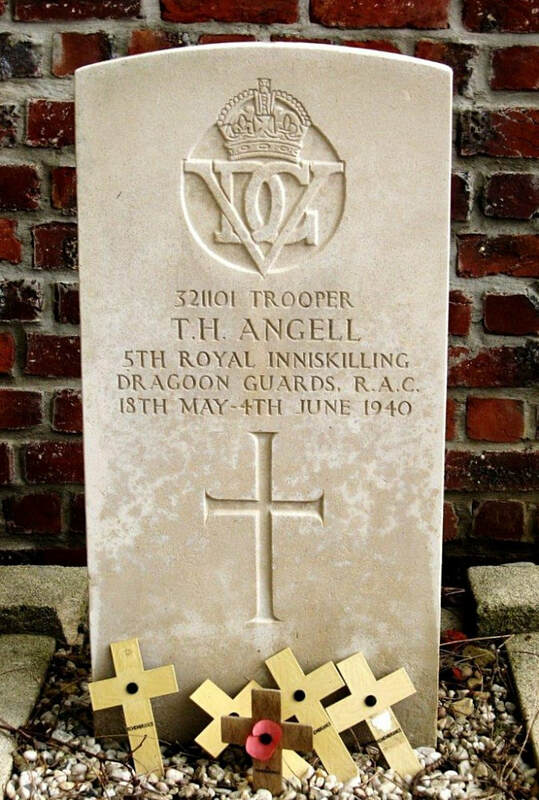 321101 Trooper Thomas Herbert Angell, 5th Royal Inniskilling Dragoon Guards, Royal Armoured Corps, died Between 18th May 1940 and 4th June 1940. 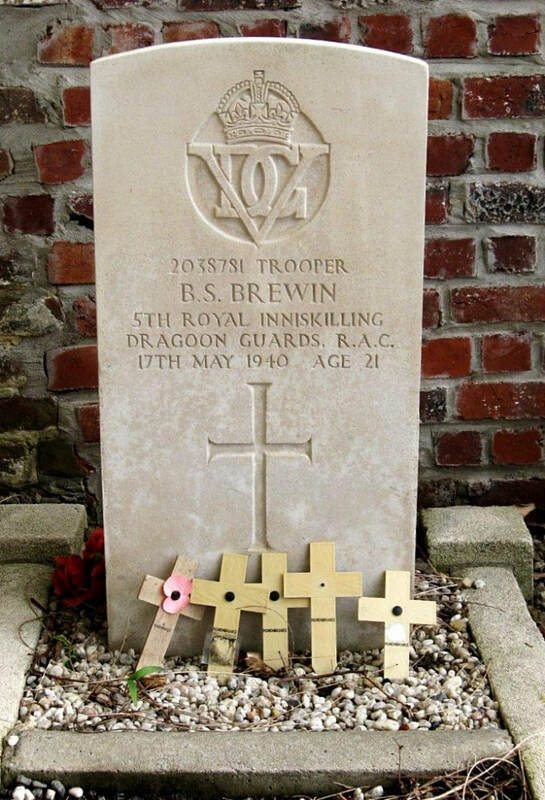 2038781 Trooper Bernard Sidney Brewin, 5th Royal Inniskilling Dragoon Guards, Royal Armoured Corps, died 17th May 1940, aged 21.